Jumia Black Friday is here and jumia is set to shake the shopping world with massive discount on several products in Nigeria and other African countries. Jumia gives you the opportunity of getting up to 80% discount on select products. In this article, we will be addressing all the interesting facts about Jumia Black Friday. You will also get the best information on how to get the best from Jumia Black Friday . what is Jumia – Jumia Black Friday? 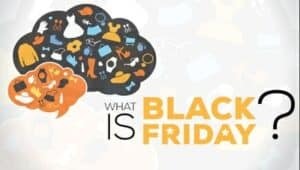 What is Jumia Black Friday ? 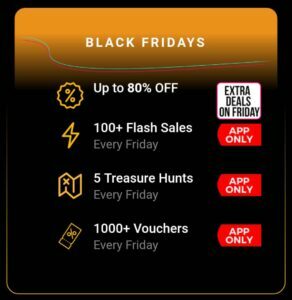 Who Can Participate in Jumia Black Friday? Jumia is an online marketplace/electronic commerce company under the umbrella of the jumianGroup conglomerate. The company is mainly known for its range of appliances, hardware, fashion items. 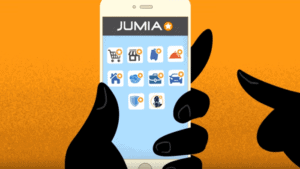 Jumia released its app for Android, iOS and Blackberry in September, 2014. This move enabled them to tap into the tremendous growth of mobile technology, especially on the African continent. The company is headed globally by Massi Spalazzi, who serves as Chief Executive Officer (CEO), while Andrea Di Natale serves as the company’s Chief Operating Officer (COO). Jumia Black Friday is a very limited period of the year when Jumia slashes prices of its products to up to 50% and more. It started this practice in 2013. The first ever black Friday sale happened in November of 2014, when e-commerce was starting to gain grounds in Nigeria. Thanks to the store, a brand new PlayStation 4 which on a very good day costs about 95k was sold for 25k! Make sure you subscribe to the Jumia Black Friday special newsletter there and be the first informed what fantastic deals you will get your hands on during Jumia Black Friday. 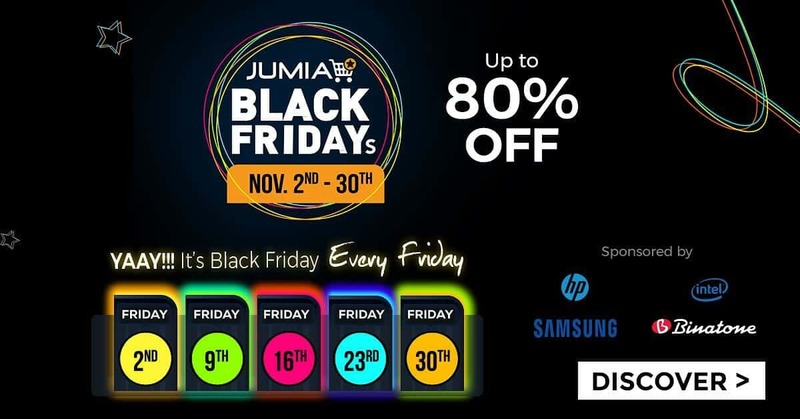 Check out the Jumia Black Friday page a few days before the main day, to check out the deals and products that will be available at discounted prices on the D-day and make your plans carefully. Keep your computer or smartphone on charge all night to make sure they survive the day of festivities and intense clicking! You can maximize your chances of getting the deal by joining forces with some of your friends from their respective smartphones or computers. But wait! make sure you work with honest people. Your friends might be tempted by the juicy offers and keep the deals to themselves! Get a very good internet connection , one that is very very fast! This will give you an edge in getting an offer before others that may be slowed down due to their slow internet speed. If you haven’t already, just go and do it now that you have the time. Don’t get caught up thinking about your street name spelling or worse; your postal code, when your mates are confirming their orders. To buy anything on the e-commerce store, you need to have a verified account with them. So if you don’t already, head on to Jumia, open your customer account and verify it conveniently right now. Residents in all countries where Jumia operate are allowed to purchase and benefit from the Black Friday sales. All you have to do to be eligible is to create an account, make an order, and either pay online or pay on delivery. Although I had mentioned this earlier, it is of great importance that you take it into consideration now. To get the best out of the Jumia Black Friday, download the Jumia app. During an interview with vanguard newspaper, Head of Engagement Marketing, Jumia Nigeria, Olamide Amosu made this statement : “We’re focused on encouraging our customers to make all their purchases on the mobile App due to the increasing number of customers shopping on our website via their mobile phones, and the easy access it provides customers to access bigger deals and enhance price comparison. Shopping on the App consumes less data which helps customers to save money, and to make it attractive for use, special deals such as flash sales, treasure hunts and special vouchers will be exclusively available to customers who shop on the Jumia App”. With the above statement made by a key Jumia official ,we know how important it is to shop with their Mobile App. We all know that their main aim is to rack up more app downloads and app users but the process will be worth it at the end. We would love to hear about your Jumia Black Friday experience. Do well to drop us a comment or send us an email. Have a happy Jumia Black Friday.